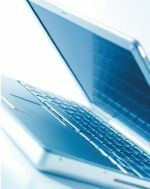 Hospital-issued laptops are available - for more information about laptop use, see a Child Life specialist. Computer workstations are also located in the Family Lounge. To help you stay in touch with family and friends during your child's hospitalization, the American Family Children's Hospital is equipped with a wireless Internet network.